Aries loves action, Cancer prefers a romantic atmosphere and Gemini needs people around. When it comes to holidays, the tastes of the 12 star signs couldn't be more diverse. With 450 hotels in 250 destinations and 65 countries, Worldhotels, one of the leading groups for independent hotels, can offer the perfect holiday accommodation for every taste. Sagittarius is an open minded, positive and restless person, always seeking to discover new things and countries. 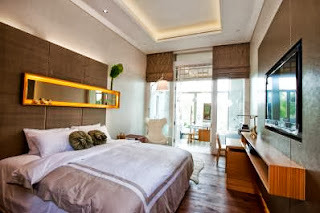 The Hotel Fort Canning is located in the city centre of Singapore and is the perfect address for the Sagittarius to explore one of Asia's most vibrant cities. From here, it's a short hop to Marina Bay to discover new restaurants, dining concepts and pulsing entertainment spots that are creating a buzz in this urban metropolis. Alternatively, for those inclined to discover Mother Nature a stroll around Fort Canning Park unveils lush flora and fauna of this tropical city and the heady scent of spice gardens. Those seeking tranquillity can relax walking through the hotel's greenery or enjoy a glass of wine from the hotel's wine lounge. The stable and tradition loving Capricorn prefers peaceful settings to crowded destinations. On holiday he likes to enjoy the beauty of nature. 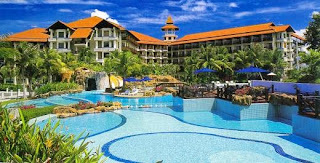 Sutera Harbour Resort is located within the magnificent scenery of Borneo's Sabah. 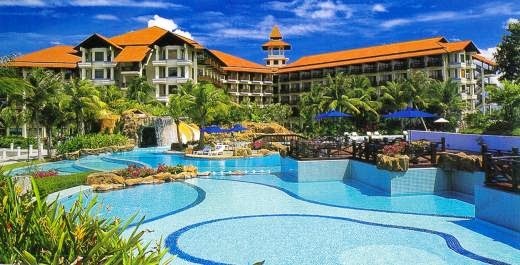 Spread over 384 acres of sea-front land with the majestic Mount Kinabalu its backdrop, it offers the Capricorn all facets of nature. He can visit the nearby Kinabalu Park and climb its famous mountain, enjoy a day at the beach or board one of the hotel's three unique vessels. Aquarius is the most unconventional and extrovert among the twelve star signs. He loves everything extraordinary, be it fancy food, architecture or fashion. The Édouard 7 Hotel in Paris with its exceptional interior design and stylish details is perfect for this star sign. Aquarius will love the hotel's unique couture suites, where lamps look like hats and vases are shaped like hand bags. And if that's still not enough of fashion, he can enjoy shopping in one of Paris numerous boutiques. Pisces are very sensitive and introvert individuals who often have difficulties expressing their feelings. They prefer peaceful destinations and enjoy solitarily. At the Pacific Beach Hotel in Honolulu, Pisces find a maritime surrounding and relaxation. They can enjoy diving in the hotel's three-storey indoor oceanarium and mingle with nearly 400 other fish. And after such an exhausting diving session they can relax in the hotel's Laule'a Spa with a traditional Hawaiian lomilomi massage. Sunbathing and relaxing by the pool does not suit Aries' personality. Being the most active among the zodiac signs, Aries loves action and unusual destinations. The Rio Othon Palace in Rio de Janeiro is the perfect base for him to explore one of Brazil's most exciting cities. After a day of sightseeing, Aries can take a dip in the hotel's heated outdoor pool or enjoy the magnificent view from the rooftop bar. After dark he can dance the night away in one of Rio's many night clubs. Taurus is the gourmet among the star signs. He loves the beautiful things in life such as art, cuisine and wellness. Located in the heart of London, overlooking Hyde Park and the adjacent Kensington Park, the Royal Garden Hotel offers the discerning Taurus everything he likes: culinary delights in its famous Min Jiang restaurant with an amazing view over London's skyline, relaxation in its Soma Spa and proximity to the many cultural highlights London the city has to offer. Gemini is curious, communicative and flexible. He needs variety like he needs the air to breathe. At Berns Hotel, which is part of the famous Stockholm hot spot Berns Salonger, he doesn't even have to leave the building to find a mix of different activities: He can visit the Asian restaurant and dine under magnificent chandeliers, enjoy the view from the summer terrace or spend the nights at the trendy nightclub 2.35:1. If that's not enough, it also offers Stockholm's most famous venues for concerts. Being the most romantic among the star signs, Cancer loves to get lost in arts and music. His idea of a perfect holiday is to spend hours in an exhibition or to visit a concert. Hotel Milano Scala is located a stone's throw from Milan's cultural landmarks such as the 'Teatro alla Scala' or the 'Duamo'- one of the most stunning Italian Gothic Churches. Each of its 63 rooms features an opera-theme reflected in furniture and artwork. Cancer will also like the fact that it is Milan's first zero-emission hotel. The luxury loving Leo is the star among the zodiac signs. He loves superlatives and only the best is good enough. For this discerning star sign, the ARIA Resort and Casino in Las Vegas is the perfect destination. With 4004 rooms spread over 61 floors, 16 restaurants, ten bars, a nightclub and three pools, the hotel is the embodiment of superlatives. Leo can enjoy a beautiful view over Las Vegas from the floor-to-ceiling windows of the magnificent suites or try his luck in the ARIA's elegant Casino. Virgos are very discerning and critical individuals selecting their holiday destination very carefully. Sagamore - The Art Hotel, one of Miami's most prestigious hotels will certainly meet the Virgo's high expectations. At the luxurious all-suite boutique hotel, the health conscious Virgo will enjoy being pampered from head to toe at the famous Rikra beauty bungalow before heading off to one of Miami's attractions such as the Fairchild Tropical Botanic Garden or the Art Deco Walk. Libra is characterised best by its elegance, taste and charming personality. On holiday the balanced air sign prefers a mixture between activity and relaxation. Budapest offers the critical Libra a variety of cultural highlights like the UNESCO-World Heritage Sites 'Buda Castle Quarter' and 'Gellert Bath and Hill'. In the four-star superior Continental Hotel Zara, Libra can find relaxation in two interior gardens, massage area and wellness center or enjoy the breathtaking view from the rooftop terrace. The passionate and enterprising Scorpio is interested in everything new and exotic. 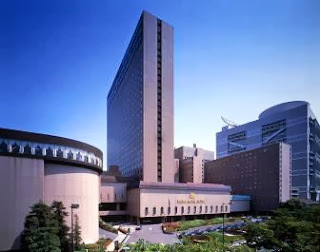 For such an adventurous star sign the Rihga Royal Hotel in Osaka is the perfect destination to explore the mysterious Japan. In the hotel's 23 restaurants and bars, Scorpio can explore traditional Eastern dishes from Japan, Korea and China or Western culinary highlights from France or Italy. Those seeking physical activity can workout in the hotel's fitness centre or dive into its beautifully designed indoor pool. Whether they believe in horoscopes or not, guests can benefit from Worldhotels unrivalled "Two nights and more" offer until 28 February 2011. This special discounted rate includes breakfast and can be booked at worldhotel.com/two-nights-and-more for a minimum stay of two nights.